It is a well-established fact that since Vedic astrology has its basis in vedic knowledge, it is as old as human creation and has been used from time immemorial todispel the unfounded horrors and prejudices if the human mind. Rahu and Ketu, the two nodal points of the Moon, constitute the core of Vedic astrology. Ancient Indian seers visualized the north and the south nodes of the Moon as the most interesting and mysterious planetary influences. However, Rahu and Ketu have either been ignored or misunderstood in studies of Vedic astrology. 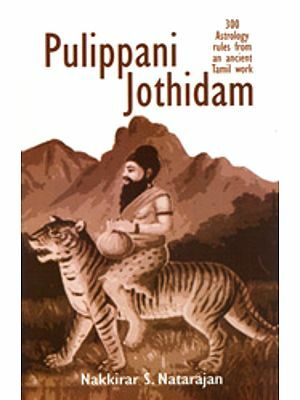 This book is an attempt to dispel the darkness that surrounds Rahu and Ketu so that they can be better understood and their importance in Vedic astrology appreciated. 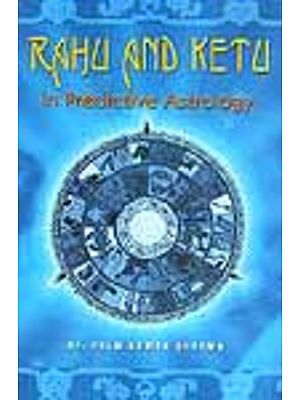 By no means the final word on Rahu and Ketu, this book attempts to provide readers with a practical understanding of these two nodes so that they can be placed in perspective. 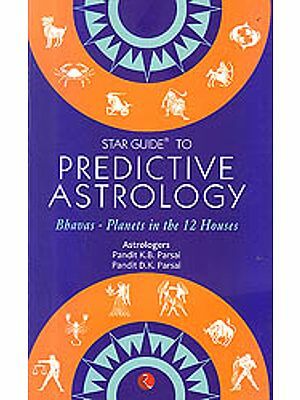 The book also provides other insights into Vedic astrology. The use of horoscopes of some prominent persons makes an understanding of Rahu and Ketu easier both for astrology enthusiasts and for other readers. A full time astrologer for over a decade, Dr Prem Kumar Sharma has carved a niche for himself in this field. His predictions have been chronicled in leading newspapers, like Hindustan Times, Indian Express, Times of India, Tribune, Hind Sam char and Punjab Kesri. Besides providing astrological content to Hindustan Times on a regular basis, Dr. Sharma also newspaper. He also contributes his weekly and birthday thoughts to the News India Group Publication and The South Asian Newspaper based in New York. A Familiar face on television, Dr. Sharma have regular programmes on Star News, Sahara Samay, PTC News, PTC Punjab and PTC Chak De. He has been invited occasionally by a number of television channels including Zee News, News 24, IBN7, Zee Jagran, Aaj Tak, India Tv and CNN for making various predictions. Dr. Sharma has received a number of awards for his contribution to the field of astrology, including the prestingious Best Vastu Consultant 2008, Gem of India, Rashtriya Rattan Award, 2002 and the Pride of India Award, 2002 by the All India Achievers Conference. 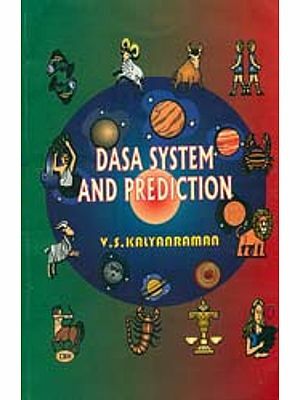 He has a number of books on astrology, gemology, Vastu, day-by-day predictions etc. to his credit. Vedic astrology is a part of Vedic knowledge; hence it is as old as creation. However, all knowledge if it falls in the hands of unworthy people gets distorted and misrepresented over a period of time. Given its exceptionally long history, astrology too could not remain free from this malice. In the recent past, there have also been discussions as to whether astrology is a science. In this regard, I would like to quote the thoughts of India’s great seer, Sri Aurobindo, “For if astrology is a science and is to take its proper place, the first necessity is to dissipate by an appeal to the empirical mind of the general public as well as of the skeptical thinker the great mass of unenquiring prejudice that now exists against it. it is this inner urge to dispel unfounded horrors and prejudices about the most important but either misunderstood or ignored nodal points of the Moon— Rahu and Ketu of Vedic astrology that I am inspired to write this humble book. The north and the south nodes of the Moon are probably the most interesting and mysterious planetary influences which were visualized by the great Indian seers. A good understanding and practical insight about these nodes will greatly help in the true appreciation of Vedic astrology. The present state of Vedic astrology calls for continuing research to help restore its lost glory. 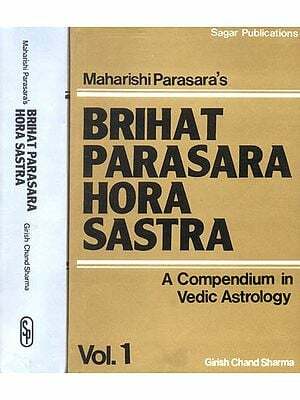 I am hopeful that this book will inspire contemporary astrologers and the ever increasing number of students of astrology, to further this process. This book, however, is in no way the final word on the nodal points of the Moon, but it will definitely dispel the darkness of ignorance surrounding these nodes. I believe, ‘It is better to light a candle than to curse the darkness’, hence this book is a little candle for dispelling this darkness. I have discussed the horoscopes of some famous as well as the general people in this book to prove the efficacy of the basic principles that I have outlined. I hope these will help in a better understanding of Rahu and Ketu. It is my earnest hope that this book will succeed in satisfying your quest for knowledge, and help you in forming a balanced view about the lunar nodal points. In other words, astrology (jyotish), being the eyes of the Vedas, is the most important limb of the Vedas. Vedic or Hindu astrology has many strong and distinctive basic characteristics, which lend it a broad and scientific base. Some of these are: the importance given to a fixed or Niriyan Zodiac, Nakshatras or constellations and the lunar nodes Rahu and Ketu. The fact that thousands of years ago our ancestors were in a position to predict lunar and solar eclipses makes it clear that they were aware of the existence of the north and south nodes of the Moon. rather they are termed as ‘shadowy planets’. These are the points of intersection of the path of the Earth around the Sun and the path of the Moon around the Earth. It is quite natural to doubt that these points of intersection are capable of influencing life on the Earth. In this regard, let us clarify that these are not only the points of intersection of two paths but also the points of intersection of very strong magnetic or cosmic fields. The earth and the luminaries have their individual fields; the nodes thus formed are the vortexes of these fields and hence are strategic sensitive points capable of influencing life on the Earth. There are many planes of existence other than the physical, like astral and causal, and forces from these planes can also cause influence. Also it is wrong to argue that mere mathematical points cannot have any significance. We all accept the existence of some other mathematical points like ascendant and ‘mid heaven’, then why should we not accept the existence and influence of the nodes of the Moon, viz. Rahu and Ketu? While predicting a chart, one cannot ignore these nodal points. The placement of the nodal axis in particular houses and signs reveals a great deal of information about the native. The north and south nodes (Rahu and Ketu) are very appropriately termed ‘Karmic Planets’ (planets which help in working out previous karma and forming new karma). The house and the sign where the north node (Rahu) is posited signifies the areas of a native’s life, which need to be developed in the present life. Similarly, the house and the sign where the south node (Ketu) is posited, indicates past developments and thus the hereditary-traits of the native due to his/her past karma (natural law of justice based on one’s actions). Apart from this, they reveal a great deal of information which is discussed in the following chapters. Rahu and Ketu, and certain yogas (combinations) formed by them with other planets lead to fear about these nodes and they are also viewed with horror. A conjunction of Rahu and Jupiter is called Chandaal Yoga or Guru Chandaal Yoga and all the seven planets getting trapped on one side of the Rahu/Ketu axis is termed as Kaalsarpa Yoga. A mere mention of these yogas is enough to scare a person. But they are not always as horrific as they are believed to be. My endeavour in this book is to lift the unjust gloom surrounding these combinations. Jupiter signifies expansion and Rahu signifies materiality. So, this combination of Rahu and Jupiter cannot be termed only as malefic. The nature of the results that follows wife depend upon the placement of this combination as well as other influences. This could be a positive combination in a particular chart and may give a philosophical outlook and charitable qualities to the native. Of course, under negative influences, this combination can make the native indulgent, over optimistic and selfish. But the important point is that it is not always as bad as this combination is generally considered. 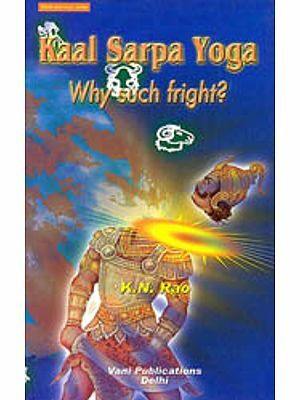 Kaalsarpa Yoga is generally considered a combination with the most horrific results. The belief that a native with this combination in the chart cannot prosper or achieve commendable success in life is baseless and wrong. This yoga ceases to exist if one or more planets irrespective of the fact that they are from within or outside the nodal axis join either Rahu or Ketu. One good example of this is the chart of India’s first Prime Minister, Pandit Jawaharlal Nehru. It was due to the cancellation of this yoga in his chart that he achieved name and fame. Only if a distinct Kaalsarpa Yoga is formed under negative influences, a native may have to struggle and face a sort of imbalanced life. However, one need not fear the name of this yoga because in most cases, it either stands cancelled or is countered by other positive influences in the chart. Separate chapters have been devoted to the special combinations formed by these nodes, particularly the Kaalsarpa Yoga. The importance of a Navamsha Chart (a divisional chart called D/9) cannot be ignored in Vedic predictive astrology. Generally, books on these nodes do not include their consideration in a Navamsha Chart along with the birth chart. Considering its importance and practical value, a separate chapter has been assigned to this topic. 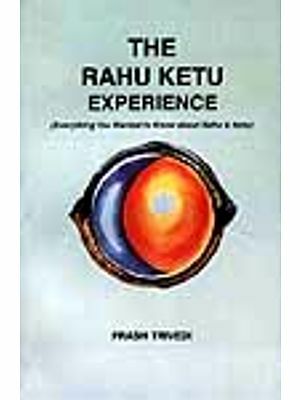 This book also gives a lot of useful information about Rahu and Ketu which is usually not available in a single book. 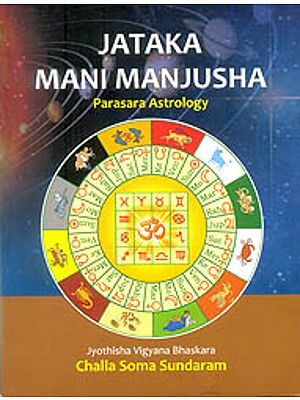 For example, it is common to call Rahu and Ketu as ‘shadowy planets’ and the real significance behind this term is given in this book. Though the information given in the book applies equally to the male and female charts, a separate chapter is devoted to the female chart because I believe that certain situations and combinations involving Rahu and Ketu affect a female chart. ‘Pearls are not gathered by surface riders, only deep divers harvest them’. It is my earnest hope that this humble book will be able to answer many questions, and also inspire you to dive deep into the ocean of astrology so that more pearls are extracted.